Game Jam – Use Case No.1: I’ve got nothing to hide! Unveil the Privacy Threat – that’s how we named the Game Jam (October 7, 2017) we’re going to host together with the Alexander von Humboldt Institute for Internet and Society – will be fun and serious. And we want you to be part of it. We will present to you three different use cases with a direct connection to data security and privacy by design. We have invited prominent experts to talk about the importance of data privacy, advise and inspire the participants of the Game Jam. What are the use cases, who are the experts? This is use case No 1. Use Case 1: I’ve got nothing to hide! Many people think they’ve got nothing to hide and thus do not need to protect their privacy. The reasoning behind this is that only people who have done something illegal would want to conceal their behavior. But, so the thinking goes, there’s no social need for protection for illegal behavior! Or is there? This only relates to a tiny part of privacy protection. In fact, privacy laws doesn’t just protect those (allegedly) engaged in “illegal” behavior. Privacy also protects a person against the loss of reputation that can occur when information is disclosed and/or used in the wrong context. 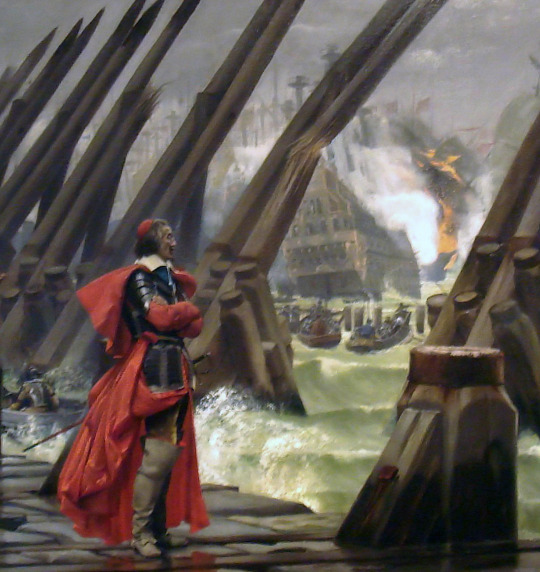 Henri Motte’s depiction of Cardinal Richelieu at the Siege of La Rochelle. At least in Germany we don’t hang people anymore. However, what this kind of reasoning indicates is that there can always be somebody who wants to use personal information against someone. It’s this misuse of personal information that privacy seeks to protect against. Some people even say that it actually doesn’t matter what you may have to hide; what matters is your ability to decide whether to hide something or not. This ability is guaranteed by privacy. Privacy is hence an essential precondition for the enrollment of an autonomous personality. The goal of this use case is to develop an engaging game concept that challenges the “nothing-to-hide” argument in a playful manner. Ideally, such a game could be played anywhere, at any time, in a very limited period of time. Just like a quick-fire schoolyard debate. A Wikipedia article for basic information about the Nothing to Hide argument. An EFF guide to how to respond to the Nothing to Hide argument. One of many useful YouTube videos about this topic. Want to join the Unveil the Privacy Threat Game Jam on October 7, 2017 in Berlin? Register here for free.The best game idea will be awarded by an expert jury with an exciting prize – a weekend trip to London for the whole winning team including a visit of The Crystal, the world’s largest museum on the future of (smart) cities – sponsored by Siemens.